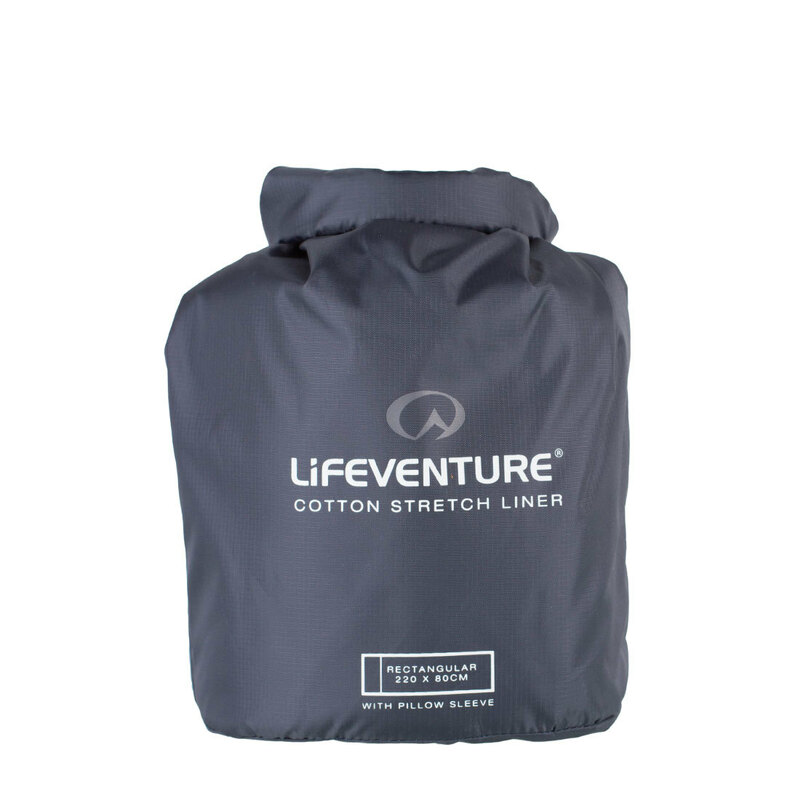 The cotton stretch sleeping bag liner is blended with Modal®, providing increased breathability, absorbency and gives a luxurious feel. 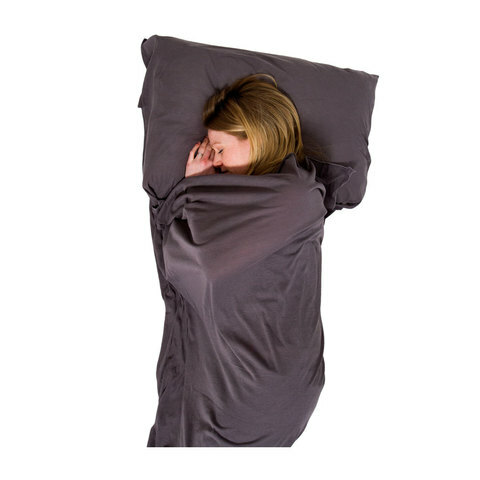 The stretchable fabric ensures greater freedom of movement for a comfortable nights sleep wherever you are. 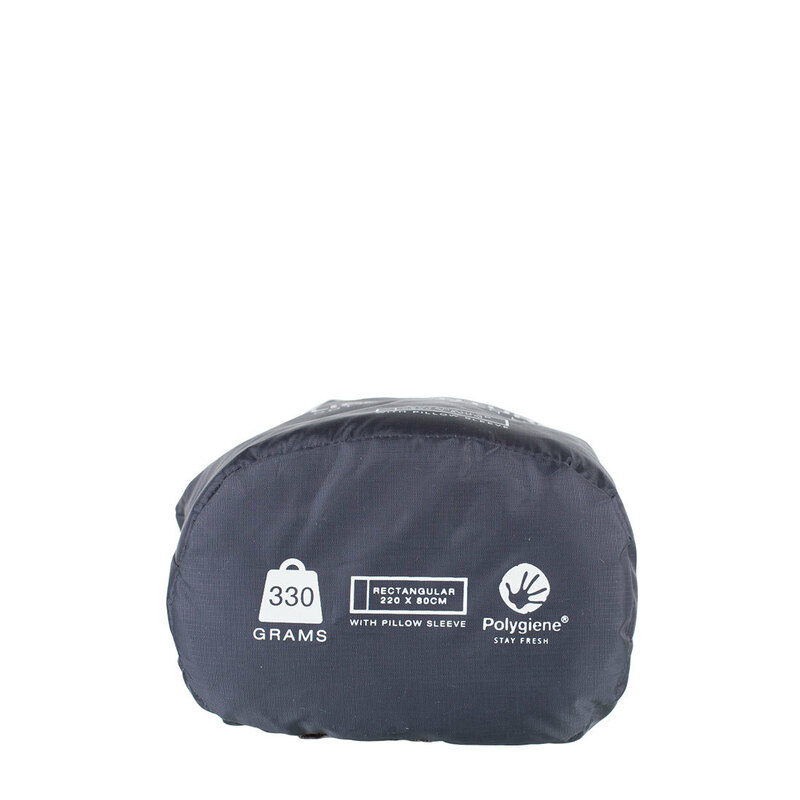 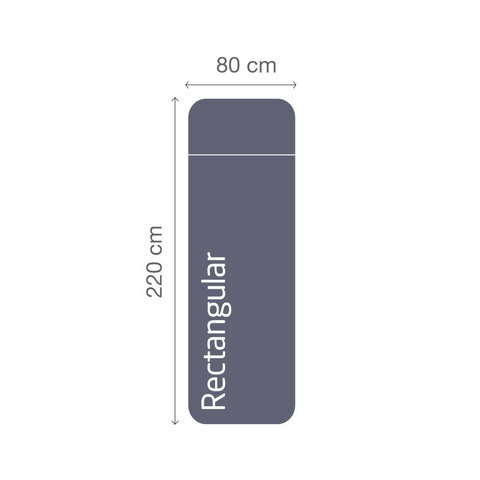 The anti-microbial treatment is integral to the fibres within the fabric preventing the build up of odour causing bacteria, keeping your sleeping bag liner cleaner and smelling fresher for longer. The soft, breathable liner includes an integrated pillow sleeve and contact germ guard. Use alone in warmer climates or in conjunction with a sleeping bag for increased warmth and cleanliness.